When you are making a decision on which credit card you want to buy, one of the big factors that is likely to play into your decision is the APR of the credit cards. Obviously, higher APR means that you are going to pay a larger amount of interest on any balances that you carry. 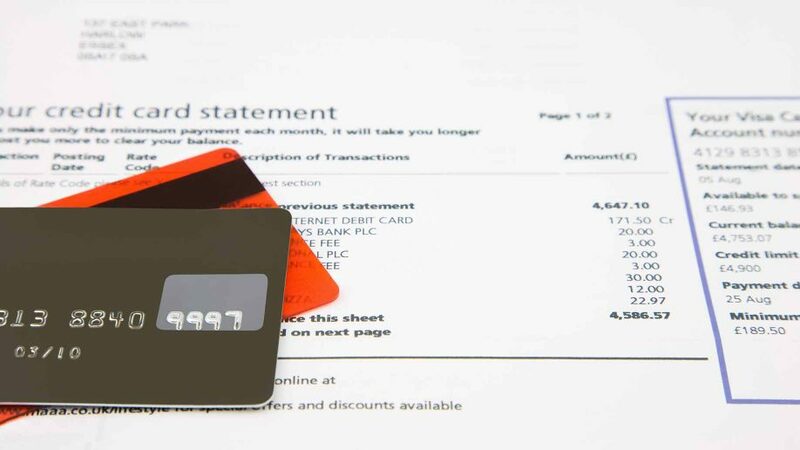 In this article, we are going to talk more about APR, how to compare the APR of credit cards and make smart decisions on which cards you should hold. Before you look at APR on the credit card offers that you’ve got in the mail, you need to understand how APR works and how it is calculated. APR is calculated each day through DPR which is the daily percentage rate. This means to find out how much interest you will have to pay on balances that you carry after the grace period you would divide your APR by 365 to get the DPR and see how much interest you will pay on your outstanding balance. When you see how much interest you will pay on a daily basis depending on the amount of money you owe, it might prompt you to get those credit card bills paid off a little faster. Knowing the terms on your card is important, and APR is at the top of the list. Purchase APR is applied when you make any purchase of a product or a service. Cash Advance APR is applied when you get a cash advance. Depending on the type of cash advance that you get, the APR may be different APRs as well. Penalty APR is the highest APR you can expect to pay and most often kicks in when you are late on a payment or when you go over your credit limit. Introductory APR is only for a limited amount of time and is usually a low rate the credit card issuer offers so that you will be attracted to their credit card. These rates are not deceptive, but you do need to make sure to read all of the terms to find out about the length of the introductory APR as well as what your APR will be after this period of time has passed. You may be charged multiple APRs on one balance as well. Make sure to check all of the terms to see if any fees are not apparent, so you don’t get any unexpected charges. Now that you understand how to compare the APR of credit cards, you may be looking for that 0% APR credit card or you might be checking for a card with the lowest APR possible. Before you get too far into the process, make sure you are choosing a card that is right for your lifestyle and your spending habits. There is no one size fits all card out there for everyone and understanding this will allow you to make better decisions when you are comparing APR and other features of the card. How Are You Going to Use the Card? Before you pick a card, know how you are going to use it. Do you plan on only using it for emergency situations? Do you want to make sure that you can book hotels, rental cars and other services that require you to have a credit card? Do you want to use the card to rack up rewards and pay off the balance before the grace period ends? When you know why you are getting the card and how you are going to use it, you can start narrowing down the cards that are comparable with certain predetermined criteria. Maybe you want to have a card that has big perks for when you buy gas because you have a long commute back and forth to work. Maybe you want a card that gives you discounts at restaurants. There are many different options and cards available for people that want to do different things with their cardholder privileges. If you need to build your credit and can keep your payments on time and stay within your credit card limits, having a credit card can greatly benefit you. Make sure to read over all of the terms of the credit card holder agreement so you understand the fees and charges because if you close down your card, you could hurt your credit instead of helping it. Be willing to stick with your new line of credit for the long haul. Choosing the right card is important since you are going to have a long-term relationship with the credit card that you use. The longer you have your line of credit and use it responsibly, the better your credit score will be. This is why it is important that you make a note of the due date so you can always pay your bill on time or early. Responsibly using lines of credit is a great way to open the way for further opportunities such as homeownership. Choose the right card for you and get started today.